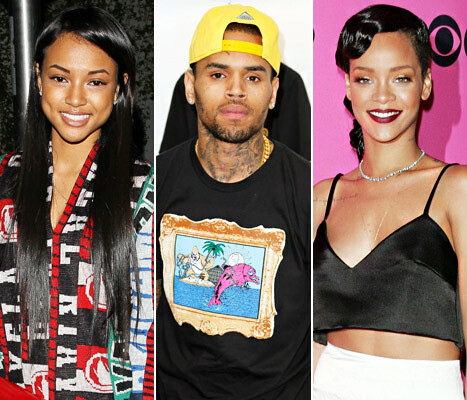 BESIDES loving and being in a committed relationship with his BEAU Rihanna, Chris says he still loves his ex girlfriend Karrueche Tran. ALSO, he doesn’t want her dating any musicians in the future. States Rihanna Don’t want him being friends with her. Read on for THE FULL STORY! Well Chris Brown still loves Karrueche and wants her to be successful in life. BUT there’s ONE thing Chris doesn’t want her doing and that’s dating other MUSICIANS. Is that even fair after what he did to her? In an interview with Power 105 “The Breakfast Club” on Monday Chris opened up about his feelings for karrueche and admitting it would be weird if she date another musician. How does RiRi feel about this? well, Chris States she doesn’t want he and karrueche friends but she has to understand when he had no one karrueche was there and he can’t just say forget her and they are also business partners in a clothing line “the kill”. Tell me what you think my babes about this, is chris being fair? Do you think he’s maturing? Leave us a comment telling us what you guys think!